Directions: Downtown Mansfield at the corner of St. James and Route 6. St. James is a community of faith, exploring new ways to be church and welcoming everyone to celebrate Creation and the blessings of God's love. 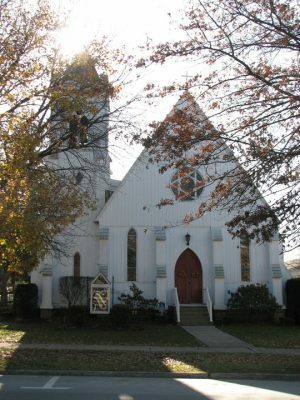 Located in the rural beauty of the Tioga River Valley, our services are full of sacred music and ritual but are not rigid or formal. Children and those with special needs are vital participants in our worship. Our congregation is multi-generational and extremely kid-friendly. We strive to nourish and sustain our local community and to reach out beyond national borders. Please drop in any Sunday at 9:30 a.m. to join us for worship and early elementary age Sunday School, and to stay for coffee hour afterwards so we may get to know you. Or, check out our other activities such as the knitting group, or Cup O' Joe with Mo Ro. If you seek the companionship of open-minded people with whom you can explore what it means to follow Christ’s example, we think you’ll feel at home here.